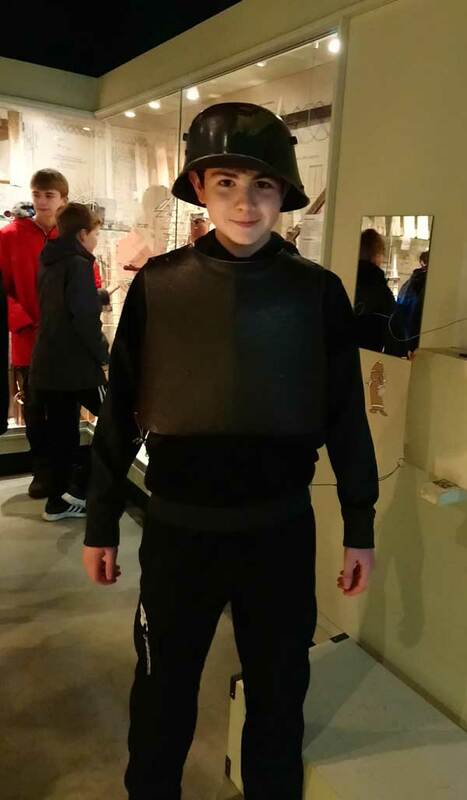 Late in the Spring Term, the Year 9s went on a trip to visit the Ypres Salient and Somme battlefields of Belgium and France. 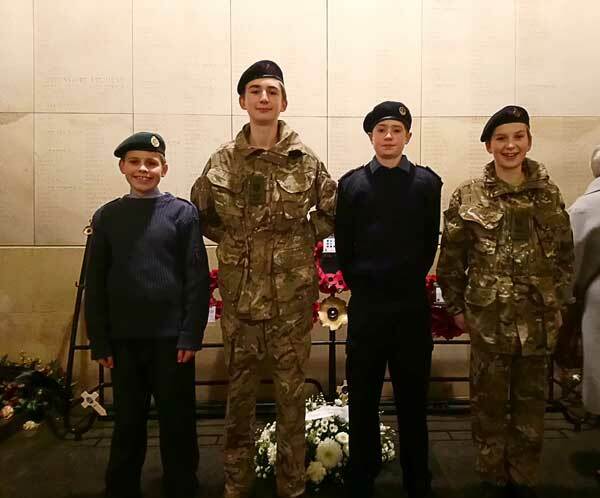 After a 3:50am start, we set off for our first stop: Lijssenthoek cemetery in Belgium – the second largest cemetery for Commonwealth forces in Belgium, after Tyne Cot. We also visited Lijssenthoek clearing station where we learnt about medicine in WWI and heard the story of Nurse Nellie Spindler who was stationed there. 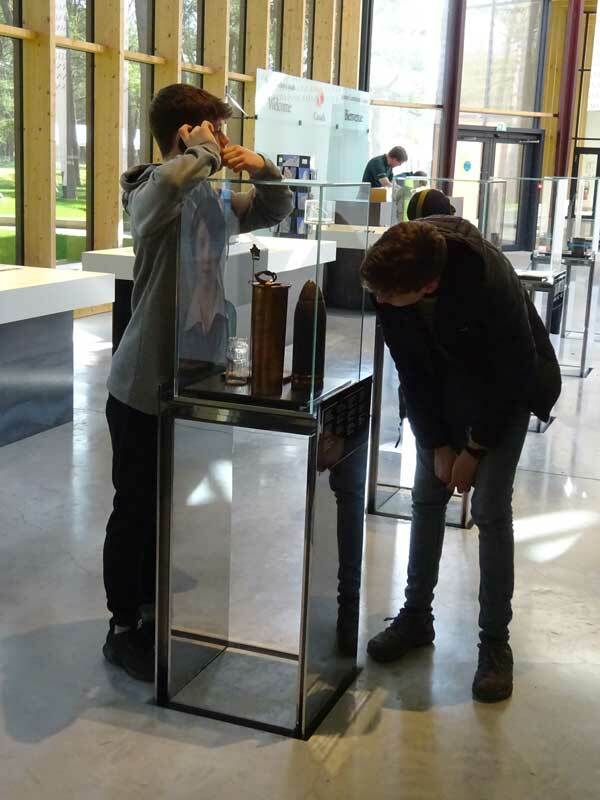 Our next stop was the Passchendaele Museum, where we saw original artefacts from WW1, including an artillery gun, numerous rifles, trench knives and raiding clubs; we even got to smell mustard and chlorine gas! 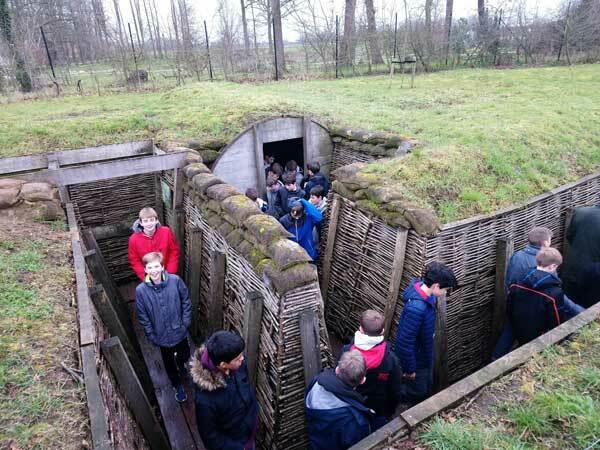 We also got to experience what British and German trenches were like, and see the differences between them. In the afternoon, we set out for Essex Farm cemetery, where there is a John McCrae memorial. It is here that McCrae wrote his famous poem ‘In Flanders Fields’ in May 1915. We also learnt about Rifleman Valentine Strudwick who was one of the youngest soldiers to die in WW1 at the age of just 15. We then went to Langemark-Poelkapelle, which is one of only four German cemeteries in Flanders and one of 13 WWI and WWII German cemeteries in Belgium. Due to the restricted amount of space the Germans had to bury their war dead, there is a mass grave in the cemetery, which is home to 25,000 German soldiers. The grave is no bigger than Blue Coat’s Middle School Common Room. We then visited the largest Commonwealth war grave cemetery in the world, Tyne Cot, which is split into two parts: Tyne Cot Cemetery and Tyne Cot Memorial. The cemetery is the final resting place of more than 11,900 British Empire servicemen, and the memorial bears the names of 35,000 men who have no known grave. This location was truly breathtaking and the students took many photographs. After a long and tiring day, we headed to Ypres and tour hostel accommodation. We had a good dinner, visited a chocolate shop, then went to the Menin Gate for the Last Post ceremony, which is held there every night. Menin Gate bears the names of 54,000 soldiers who have no known grave. Andrew, Joe, Ollie and I got to lay wreaths at the gate in the ceremony, which is a great honour as only a few get the opportunity to do this. 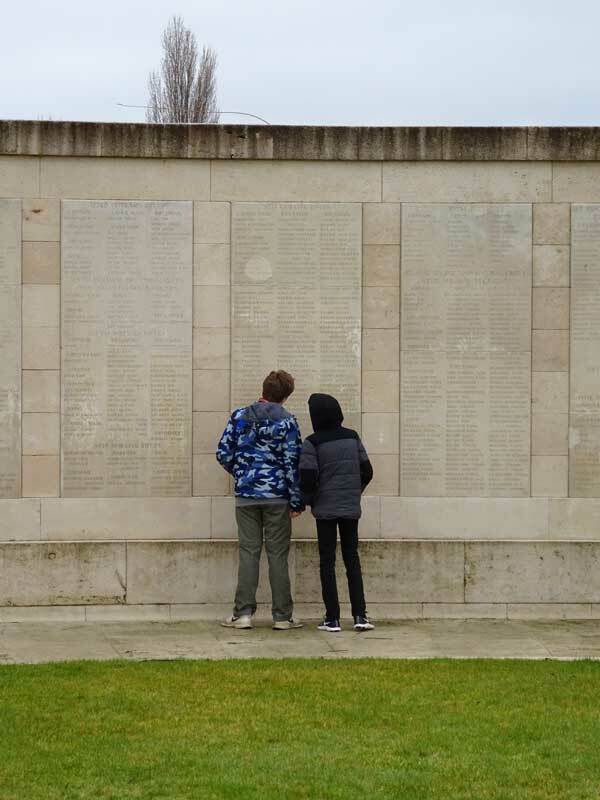 The next morning, after being woken by a rousing rendition of “Wake me up before you go-go”, we embarked on the second part of our journey – the battlefields of the Somme, in France. We started our visit at the Neuve-Chapelle Indian Army Memorial, which commemorates 4,700 Indian soldiers and labourers who have no known grave. It was in teresting to see the differences in the ways that countries bury their war dead – and was loved by all. 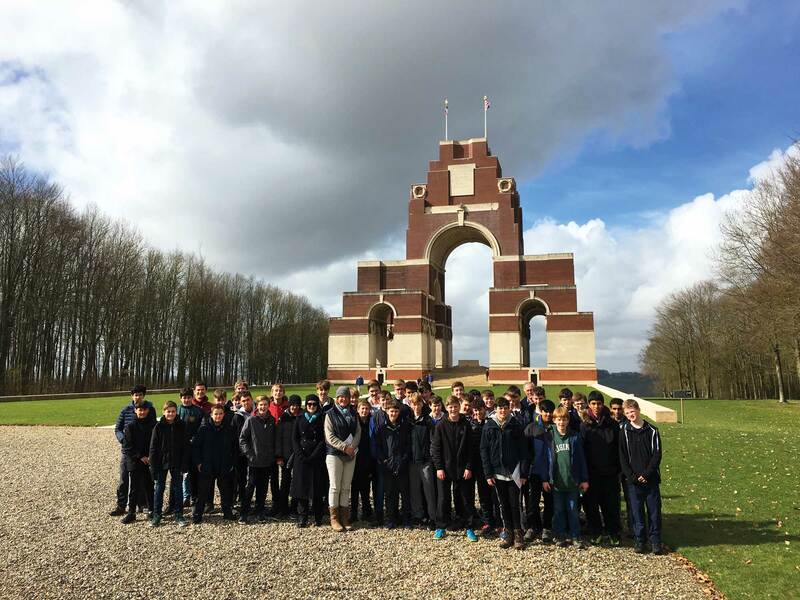 We then visited Thiepval Memorial, which commemorates 72,000 men who died in the Somme area. Towering over 45 metres in height, it dominates the landscape for miles around. It is the largest Commonwealth memorial to the missing in the world. After lunch and a mad shopping fest at the gift shop, we ventured further into the Somme region to see Lochnagar crater. The crater was created when a mine was exploded under the German trenches on the first day of the Somme. It is 30m deep and 100m wide and the mines were the largest ever detonated. Our final destination was Vimy Ridge Canadian Memorial and trenches, where we saw the original trenches and mineshafts from WWI, as well as the memorial, which was also a good photo spot. and then, unfortunately, the trip came to an end. It was a thoroughly enjoyable experience and we all learnt a lot.